TWAICB Director Sandy Sohcot reports: As part of preparing for the AFSC Youth Summit, the three students (Raychelle Castillo, Justice Wurnitsch-Hogan, and Yennhi Le) wrote essays about the human rights issues of concern to them in their communities. Then they prepared Issue Outlines on Homelessness, Human Trafficking, and Security of Person, based on their essays, to synthesize the key points they would like to discuss during their meetings with their congressional representatives. 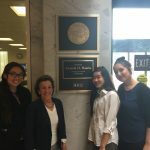 Our meetings were on Thursday, June 22, beginning at 10:00 a.m. in Senator Dianne Feinstein’s office, where we met with Elisabeth Fox, Legislative Aide, and Kelli Fallon, Legislative Correspondent. 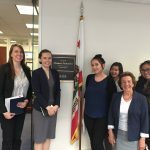 At 10:45 a.m. we met with Elizabeth Hira, Legislative Aide to Senator Kamala Harris. 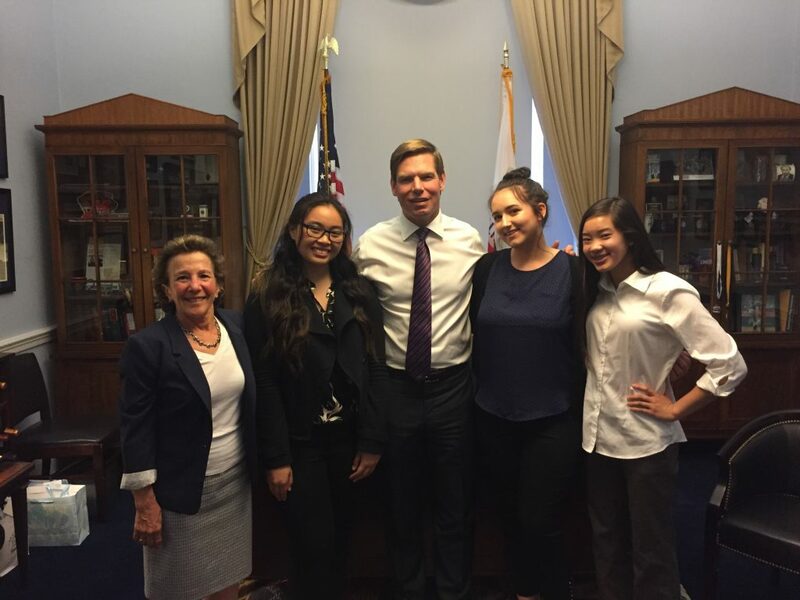 At 1:00 p.m we met briefly with Congressman Eric Swalwell, then with Zac Commins, Legislative Aide. When we held our meetings, I started by explaining TWAICB Program, how we got involved with the AFSC Youth Summit, and how each student wrote an essay on the human rights community issue of concern to them that they would now present on. Then, each student presented their issues, starting first by thanking the specific congressional representative for legislation or policy statements they had already taken in connection with the issue, followed by outlining their concerns, the UDHR article related to their concern, how this issue affected the community as well as the people directly impacted, and their ideas for how to help address the issues. Raychelle Castillo began, followed by Yennhi Le, then Justice Wurnitsch-Hogan. In each meeting, the people we met with took detailed notes, offered input on the issues at hand and expressed enthusiastic support for staying in contact with the students to monitor follow-up. The students were very articulate and strong as they presented their issues, and commented on the significance of being able to communicate with their representatives to seek constructive action. This was an extremely meaningful experience in civic engagement and awareness of how each person can have an impact.